May 31, 2017 at 5:34 a.m.
We used this tools to assess local government (Village Development Committee-VDC, Health Center, Community Public School, State funded Development Project, Agriculture Center about their services and facilities provision by State in various project and LRPs working districts last 6 years through local implementing partners. 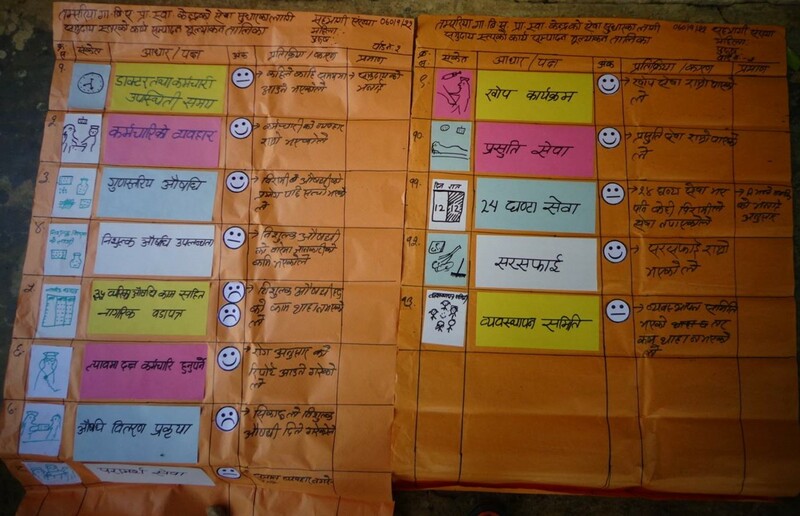 This is a participatory tools which empower community peoples and able to make their attention towards services provided from such institutions. 30% peoples participation need into whole process form supply and demand side cause it validate the findings and area of improvement. It is alternatives building of issues brought from community and services holders and both parties agreed to celebrate best practice and committed publicly to area of improvement in days to come. Indicators set through participatory way and literate friendly which is made peoples to feel ownership of taking part in this types monitoring and evaluation process. This a evidence based advocacy popular tools used by other development agencies like OXFAM Nepal and CARE Nepal. After assessment of indicators, mega event organised for interface meeting among different relevant stakeholders from government agencies, political leaders, civil societies, media persons and community peoples.